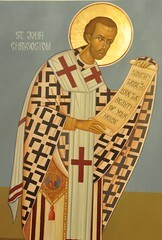 “Chrysostom also proves the importance of the forgiveness of sins both in the context of the assembly in the wilderness and in the Liturgical Assembly. 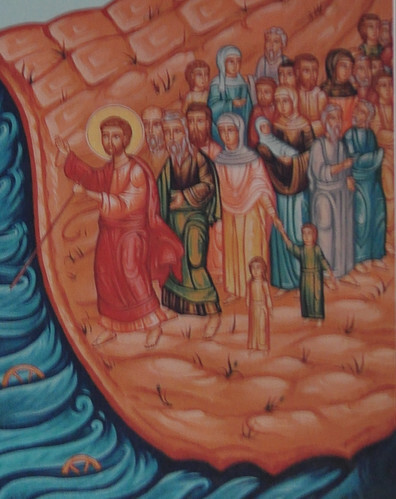 He points out that the forgiveness of sins was essential to the Israelites before they could safely and beneficially partake of the manna and drink, just as it is essential to the members of the Ecclesial Community before they can receive the Mysteries of Christ’s Body and Blood. As long as they [the Israelites] honored the equal distribution of their goods, the manna continued to remain manna. However, when they decided to be greedy, greediness made the manna become worms. Indeed, with this behavior they did not harm others because they did not grab from the food of their neighbor in order to have more than their neighbor; but they were condemned because they desired more. Even if they did not commit injustice toward their neighbor, they hurt their own selves very much because, with this manner of assembling together, they habitually continued to dwell in greediness. Therefore, the same manna was simultaneously admonished [educated] their souls. It not only nourished them, but delivered them pain. Holy Things for the Holy Ones!